Many of us look forward to the quiet time August brings on the Hill. In addition to giving us time to catch up on work that we’ve been putting off, it’s also the best time to prepare ourselves to hit the ground running for next Congress. 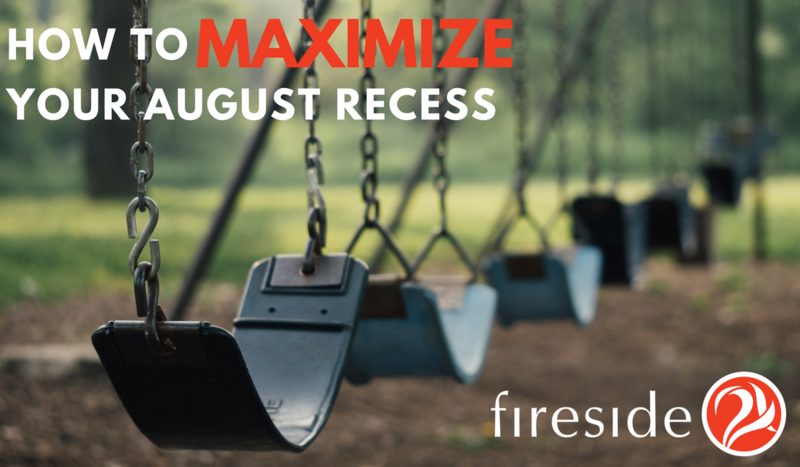 Here are a few tips on how to get the most out of August recess! While logging calls or mail in Fireside21, you may occasionally notice that a constituent has more than one profile. In addition to our duplicate-merging feature, we’re able to merge profiles en masse! This comes in handy when you have hundreds, or even thousands, of duplicate profiles. Feel free to shoot us an email at help@fireside21.com to get this process started. There’s been a sizable increase in campaign mail this year, and now is a great time to get a head start on future campaigns by setting up automations! Automations are pre-set rules that help you skip a few logging steps and get right to responding to your constituents. Form letters start piling up throughout the year, and August is the perfect time to get a handle on which form letters your office uses regularly, and the ones that you can archive. We’re able to mass-archive form letters based on criteria such as last-used date, creation date, or even by staffer. Let us know the parameters around how you’d like to archive the letters, and we will start the process for you. Communicating with constituents doesn’t end during the blackout period. August is an optimal time to send newsletters to your subscribers and keep them updated on your representative’s work. Use this time to think strategically about the issues and affiliations that your office will need to perfectly capture the sentiments of your constituents, and to target constituents more accurately. Once you know your strategy, you can create, edit, delete, or merge issues and affiliations to streamline your outreach process. With a strong list of issue codes and affiliations at your disposal, you can target large parts of your constituency by creating audiences based on these, then use our bulk mail feature. Are you moving into a new role within your office, or maybe you’re a little rusty when it comes to completing some tasks in Fireside? Take a look at our Help Center. There you will find in-depth tutorials and training videos on everything in Fireside from sending 499s to creating a survey. If you’re looking for a more personalized learning experience, take a training! We offer live, web-based trainings that cover every aspect of Fireside! Sign up for one today!